Photo. California Artichoke Advisory Board. My first encounter with this complicated vegetable came well into my 20’s. Ours was a basic peas, carrots, corn kind of family. It was at a small roadside restaurant called “Spuds” in Salt Lake City, Utah. Its success came with simplicity. They only served 2 things; baked potatoes, with all kinds of toppings, and steamed artichokes. It quickly became a favorite lunch spot. The potatoes were a full meal, but we came back for the artichokes, which were a ritual. I didn’t order the artichoke until I’d observed folks at work at surrounding tables. It was a fascinating process, removing the thorny outer leaves, dipping them in molten butter, scraping the “meat” out with your teeth, and progressing to the much desired heart at the center, which also took a bit of work to uncover. It is not for the timid, or for folks who are in a hurry. It is the polar opposite of fast food. The only equivalent for me was the way we harvested the edible parts of those Maryland blue crabs, another time consuming, painstaking eating ritual which I’d seen since childhood. But again, so worth the effort. 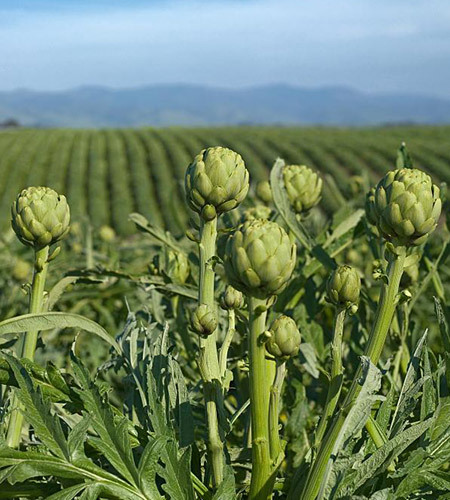 First mentioned by Homer in the 8th century BC, the artichoke emerged as a garden plant in the Mediterranean. Today, nearly 100 percent of the crop here in the US comes from California. 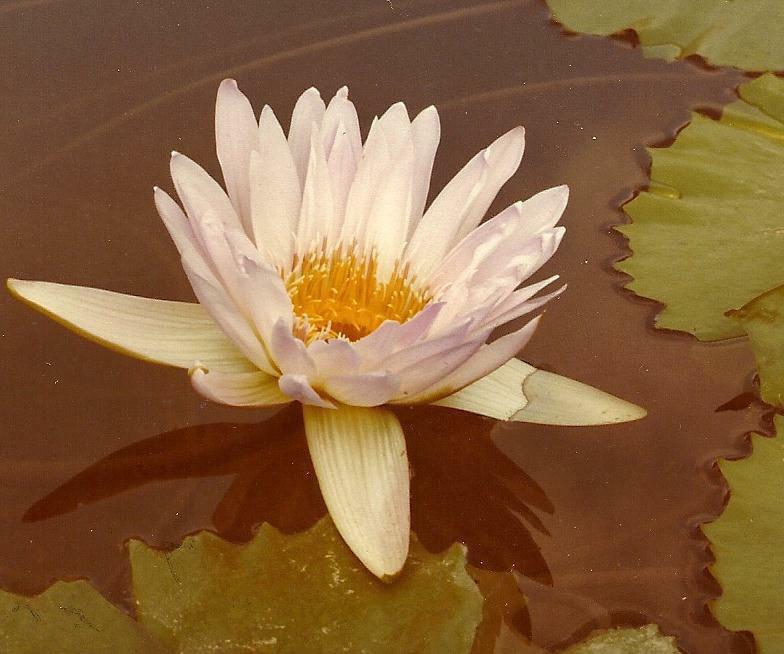 Interesting to note that at full maturity, it blooms a beautiful purple flower that renders the plant inedible. As I dipped into my second batch of artichoke- spinach dip this holiday, I thought of the ritual, and missed it a bit. There is a can of artichoke hearts in my pantry right now. I just can’t bring myself to open it. This entry was posted in Art, Entertainment, Family, Food, Home, Photography, Travel and tagged Artichoke, Blogging Inspiration, Food Rituals, Salt Lake City, Slow Food. Bookmark the permalink. I love artichokes, but I almost never cook them. I guess I just never think about it. I love artichokes too and “discovered them in my 20s after growing up in a household where peas, carrots and broad beans were the regular veg on the menu – I guess that what came frozen in 80s Britain! Until recently I ate canned artichokes pretty much every day – I’ll put them in or on anything – but I’ve pulled in the purse strings while I am looking for my next job, so I can’t afford to do that at the moment. I have a can in the pantry that I am saving for a special occasion, and hoping they might be cheap to buy fresh when they come into season – when is artichoke season?!? It’s a bit odd for me, I only bought them whole and steamed them a few times…it is nice to find them on a menu. How nice that you grew them ! 🌅 Thanks, Jeanne. Oh, I love them too. My favorite vegetable, in fact. Wonderful however, wherever they are — it’s my favorite topping for pizza. But the best way, also discovered in my 20s, is just how you described them. Julia Child has a wonderful lemon butter sauce that is the perfect accompaniment. But really, anything will do. ☺ I remember the artwork…just lovely. I really liked that painting too. Now I want an Artichoke. At least its not fattening. ‘O) Happy New Year, Van. I hope you had a lovely Christmas Van.. 🙂 Wishing you a Wonderful Happy New Year.. I don’t know if artichokes and I ever become friends… lol! I did several times…. lol! But I should try again in a few years. Perhaps my taste changes…. haha! 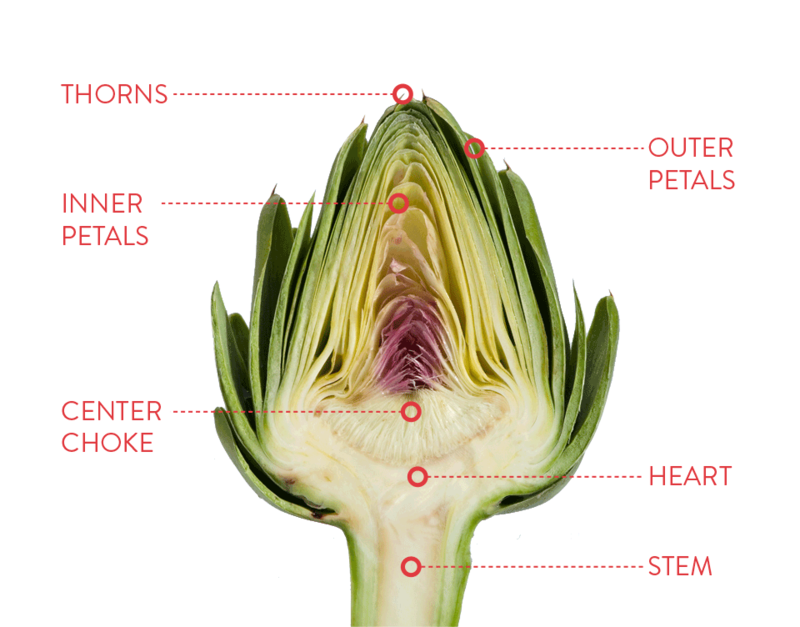 Artichokes are one of the weirdest vegetables. But they taste good. It seems so, Tonya. 💛 💚 Thanks. I began enjoying artichokes much later in life and wish I would have found them earlier. I enjoy them now in different ways, especially marinated and in salads. Artichokes were a treat when I was a kid. I remember how delicious the meat was after it had soaked up some butter. My favorite dip for steamed artichoke is mayo mixed with a bit of balsamic vinegar and ground pepper – so yum! I love me some artichokes! 💗 No doubt. Thanks, Vic. I only tried scraping that leafy part once, years ago, and didn’t like it. However….those artichoke hearts on a certain sub sure do make it amazing!!! The artichoke hearts, mushrooms, cheese. Yum. What a coincidence! I was just listening to a chef talk about dipping these in an aioli sauce! Yum! BTW, love the pic! I’ve never seen them in growing. Hi Van – I have never had the pleasure of the artichoke – I had no idea the process of “dismembering” was so lobster-like. I must confess, I am a tiny bit curious, but probably not enough to break out of peas-and-carrots mode. It took mum years to grow them, both Jerusalem and Globe but she did and we loved them, just as you described. I think giving up her adored artichoke plants hurt as much as anything when she left. My friend Tori (RIP) was from California, and was my introduction to many new and exciting foods. She steamed artichokes and dipped them in butter, and I had never had JUST the artichoke, cooked like that. I still love them like that. When I do them, The Mister will eat it, but complain about the work the entire time. I also usually finish uncovering his crab meat, too, so you know, he’s not a foodie. lol 🙂 I seldom prepare them. I ate them more when I was single. To me it’s to much work for the payback. Hope you well. Do me a huge favor, read Throw Back. I’m falling into a black place, I read it over and it sounds like a kids wrote it. I’m taken two dedications early brain pills. I don’t know when to quit. I put hem in my flower beds. I’ve only tried my hand at fresh artichokes once (blame it on youth and inexperience). It’s not something I’m likely to try again. 😀 They’re fine — as long as someone else cooks them. Happy New Year. Hugs. Enjoyed your post and will be sharing it on my blog this Thursday. Thanks! Thank you, Bobbi, for the comment and share. I enjoyed this post but I do not enjoy artichokes 😝 you almost make me wanna try them again. It might just be an all new experience for you ! Thanks, Jelka.